Will Hydrogen Cars Make Driving Cheaper? A 2017 KPMG survey of senior automotive executives found that most of them believe that battery-powered cars are not the answer for the future of sustainable driving. Seventy-eight percent said hydrogen cars are, due to the fact that their tanks can be refueled in about as long as it takes for you to fill your car with gas, rather than the long amounts of time that battery-powered vehicles often need. The European Climate Foundation predicts that fuel-cell cars will comprise over a quarter of the car market by 2050 -- which may seem like a long way off, but the usage of fuel-cell vehicles will slowly increase as the technology becomes more efficient and the vehicles become cheaper. It is clear that hydrogen is the answer for the future and will make driving more sustainable and affordable for everyone. A bigger question, if you are thinking about becoming an early adapter is, will hydrogen make driving a car cheaper right now? Hydrogen cars employ the power of fuel cells that run on hydrogen gas and the air we breathe. The fuel cells combine pressurized hydrogen gas with oxygen to power the car, and the only byproduct is water -- the same water we need and drink every day. Since hydrogen is by far the most abundant gas in the universe, the fuel source is almost guaranteed to never run out. To “make” it, you simply run water (H20, two parts hydrogen and one part oxygen) through an electrolyzer. The issue is, making that hydrogen uses up a lot of energy in and of itself. It then has to be compressed from a gas into a liquid, and it is about 5 times less energy dense than gasoline, meaning cars need 5 times as much of it to go the same distance as ⅕ that amount of gas. Hydrogen is also prone to leaking out of the containers that it’s held in, and since hydrogen gas is extremely flammable, this is not a great situation to have. Hydrogen engines are also very fickle: neither steam nor ice will power a hydrogen vehicle, so the temperature must be kept in that narrow and very low range in which hydrogen is a liquid. Is hydrogen power better than gas/electric? In terms of saving the environment, maybe, but not now. It still takes a ton of energy to produce and transport hydrogen, so often, it actually makes more sense to buy a hybrid or electric vehicle if you are looking to go easy on the planet (and your wallet). “Better” is, of course, a relative term. If you want to be an early investor in the sustainable technology of the future, then hydrogen is the clear way to go. But for now, it remains an expensive and sometimes inefficient option for most people. There are not a lot of hydrogen refueling stations outside of some of the largest cities across the globe, and so it will likely be difficult for you to find refueling stations consistently. In addition, hydrogen-powered vehicles are still very expensive, keeping them outside of the reasonable reach of most people. If you really want to buy a hydrogen vehicle right now, you will need to live in California if you live in the U.S. If you do and are up for the challenge, there are a couple of solid options on the market. The 2018 Toyota Mirai fuel cell electric vehicle is beautiful and comes with three years or $15,000 worth of free fuel, whichever comes first. 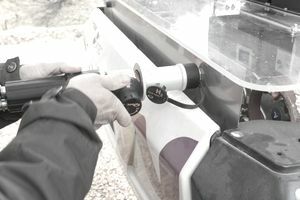 It can drive approximately 300 miles without needing to refuel and takes only 5 minutes to do so once you need to. You can lease it for around $349 a month or purchase it for a cool $58,365, but it is only available in the state of California. The 2017 Honda Clarity Fuel Cell is much cheaper, starting at $34,295. It drives well according to Car And Driver Magazine, though the publication was not a huge fan of its exterior.